Gravity-Fed Countertop Shake Freezer features a small footprint but produces a lot of great shakes! 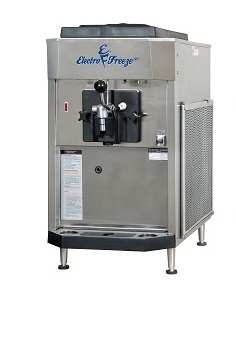 Add the optional head-mounted spindle mixer for speed-of-service of customized shakes. Our optional cabinet can turn the CS700 into a free-standing machine. Great for restaurants, QSRs, ice cream shops, self-serve college & university cafeterias, retirement villages and healthcare facilities.